Projects in waiting: 3 magazine caddy/holders. I started working on this one out on the back deck, in the sunshine in September. Its November and I finally finished the job. I thought I was going to use spray primer/paint for the whole job but the spindles as well as parts of the inside didn't get enough paint. Some of the brown finish was not 'covered' with the Spray Krylon Primer (spray paint just doesn't do around corners and weird angles). 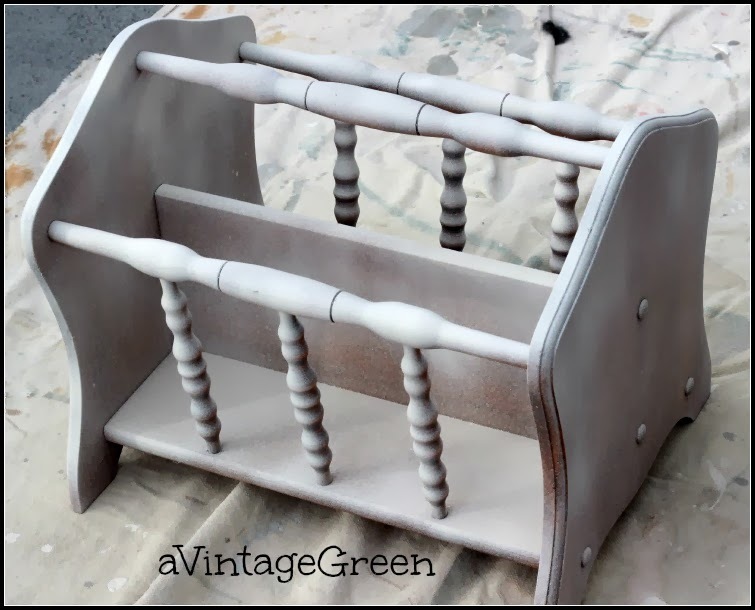 I next used Rust-oleum Blossoming White spray paint before I gave in and finished this one with CeCe Caldwell Chalk-Clay paint 'Simply White' and clear wax. I love the satin look of waxed paint. Next up is a white plywood magazine holder. 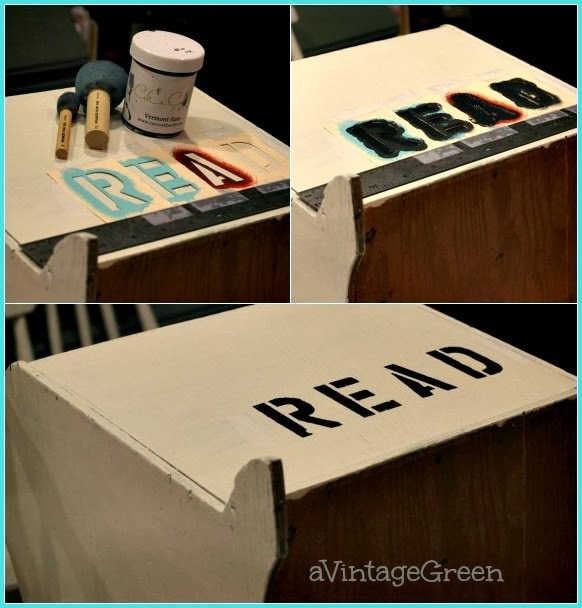 I had wanted to try a stencilled word on the vintage 'someone's home project (1/2 plywood)' painted magazine holder. I used scotch tape to hold the letters in place and lined them up along a ruler. Used the smaller sponge with CeCeCaldwell Vermont Slate. Evening light hides the bright white finish. 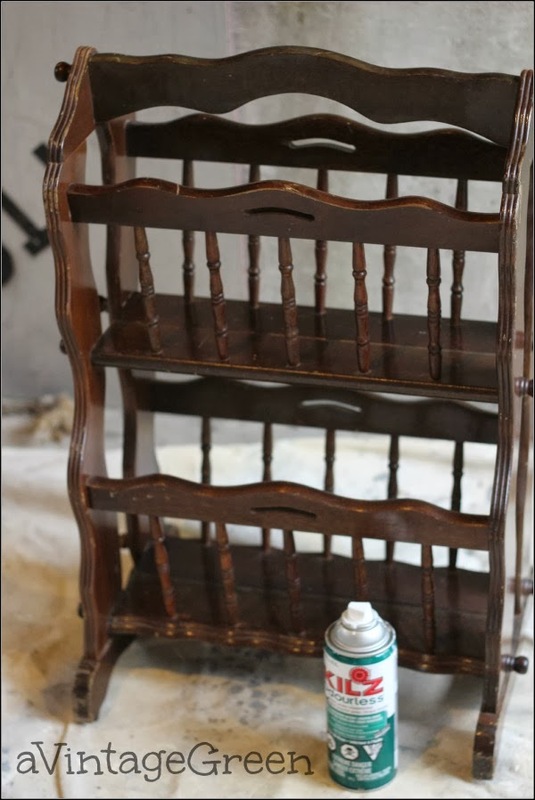 The two tier magazine holder was like painting chairs, lots of spindles and undersides. Used Kilz primer, spraying in the carport on the last day of 11 degree C (51.8 F). You can see two projects as they were painted in my 'kitchen workshop', too late in the year to paint outside. Waxed all the painted finishes. This two tier magazine holder was my favorite. I sponge sanded a few edges and curves before I waxed. Thanks for visiting. Next post will be November 11th at 7:00 am. 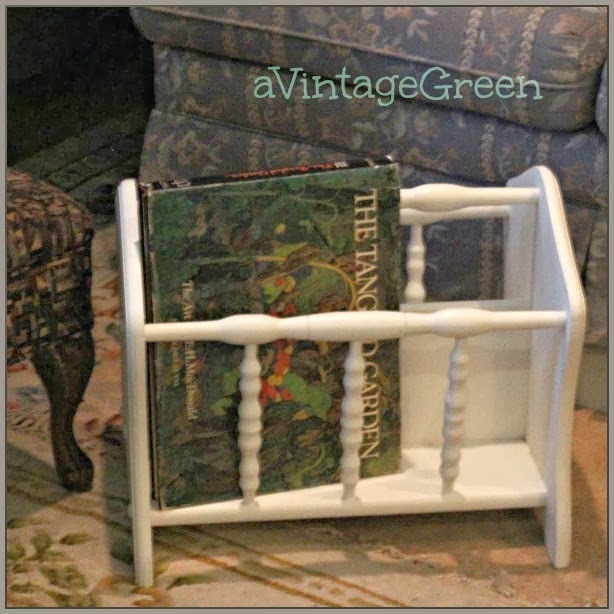 I really like vintage magazine holders, and have been looking for some to paint. Yours are really neat. 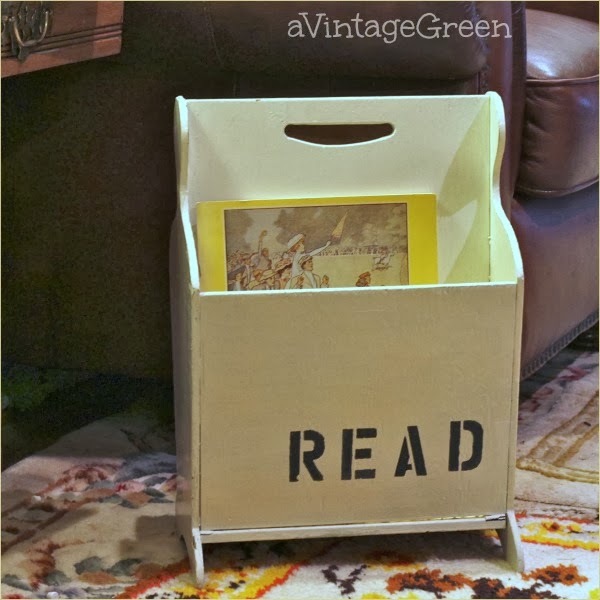 The "READ" stencil is perfect for the style of that particular magazine holder. You did a great job, Joy. Nice job! I'm sure those will sell quickly! Pretty, PRETTY!! I guess it is already cold up your way. In the 50's here in Texas but 70's and sunshine for the weekend!! I remember those! They sure do look better painted. Nice magazine racks and adding the paint and letters really helped. Love the stacked one. First I have seen. Did you say 11° ?? Oh my, no way would I be out in that, let alone try to paint. Great job on all of them but I love the two tiered rack the best! Thanks for joining TTF this week! Like, like, like! I have a couple that need to be done, and you've given me some good ideas, Joy. It's amazing what difference a bit of paint can make. My favourite one of the three is the two-tiered one. I must look out for something similar. They all look so much better with their new update. Those spindles are a challenge, aren't they? I think my favorite is the two-tiered one too. This came out Gorgeous you did a wonderful job. I would like to thank you so much for your sweet comments on my Halloween Tablescape!! I don't remember if I did thank you lest week it was a little nutty for us at home. I did post a new one this past Monday. I hope you have a wonderful weekend with your family. 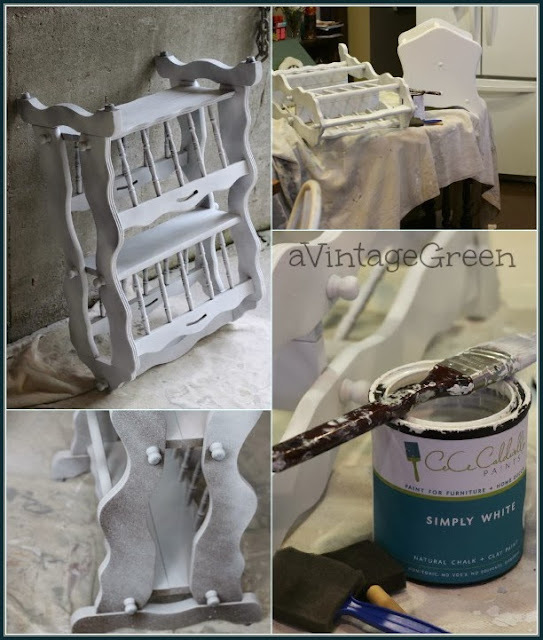 Everything looks great you have to love how white paint can sometimes give a piece a new life. LOVE these projects!! I need to find one of these for my LR. I have magazines in a tub but even though it is pretty, i really like these much better. I have five of these in line to paint, but they keep being put in the back of the line because of all the spindles. I love the way yours turned out. Do you happen to make house calls? Nice makeover, the white paint does look great on the magazine racks. Thanks for sharing, have a happy week! Fantastic makeovers. I think I like the second one best. Take care and have a great week. Great job on all the magazine holders. I really like the READ holder. Fun! Have a great week. My grandmother had one similar to those. Nice re-do! I just love the READ on one of them..so cute! Love the one you did with READ on it, but i have never seen the two tier style befor! Also ...love love your blue green trunk in the pictures...fabulous! Great job! I think I'd need the two-tier one personally - I have a LOT of magazines! Thanks for linking up to Magpie Monday. 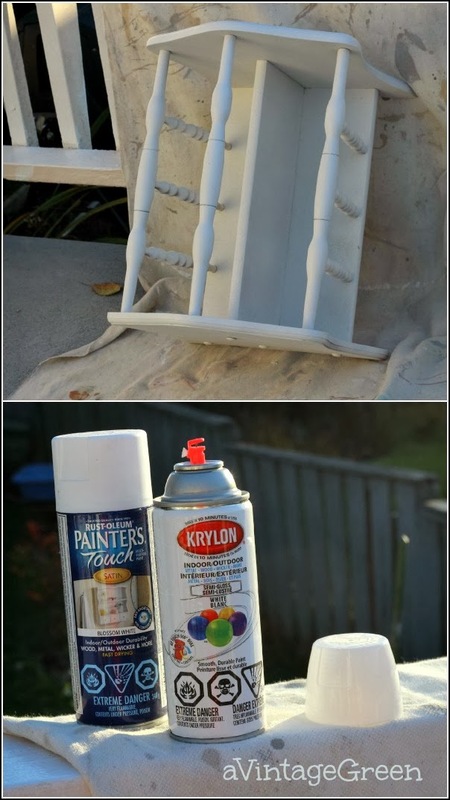 LOVE those re-dos - I don't know why I never think of paint.. it changes so much for so little! I've never seen a two tier magazine holder. Yours came out great! All three magazine holders look great! I'm really amazed at how a fresh coat of paint will completely transform a piece of furniture! 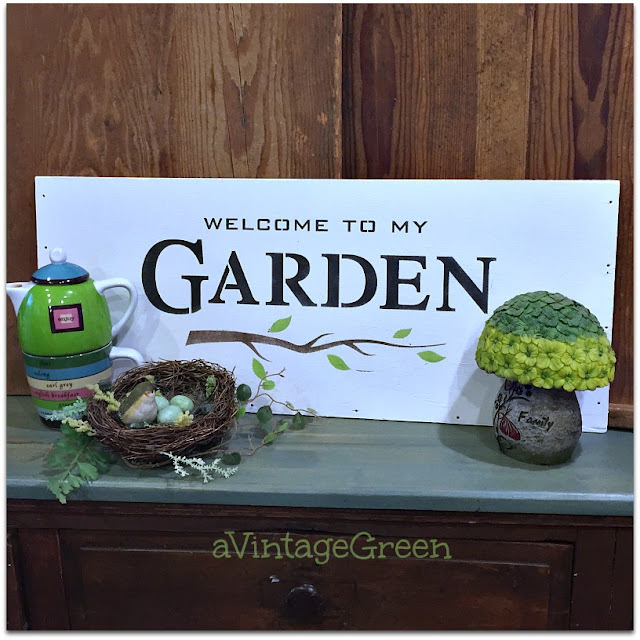 Thanks for sharing this at Frugal Crafty Home Blog Hop! I hope to see you back on Sunday night! These are look awesome!! I'm pinning this one to our talent board! Thanks for sharing on DIY Sunday Showcase!! What a great and easy update! I'm featuring it in this week's Power of Paint Party Spotlight! 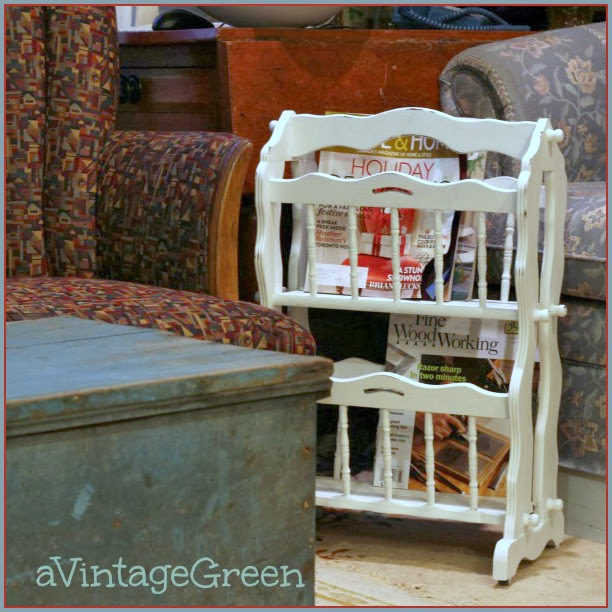 Love these magazine racks. They are so functional and with a little paint they can be so cute too. You did a great job. Thanks for sharing.